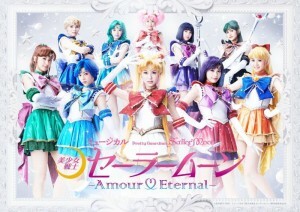 These sites don’t have the Amour Eternal musical posted yet and the official site mentions only that it will be available on the 11th of November at noon (12 o’clock) for DMM.com, Rakuten Showtime and d Anime Store and at midnight (24 o’clock) for J:COM, iTSCOM, TOKAI and Video Pass. This means midnight at the end of the day or midnight on November 12th and not the beginning of the day on the 11th. Japanese people make some distinction between 00:00 and 24:00. I’ve never watched a video on any of these services. The first link, DMM.com, can be navigated in English but when I tried to create an account it stated that many services were not available outside of Japan. The same kind of region restriction is likely in place for many if not all of the sites. 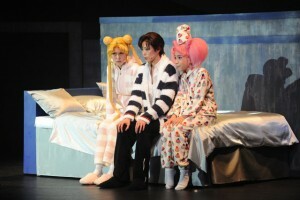 Many of them have the last three Sailor Moon musicals available to view for 980 yen, about $9.40 US. 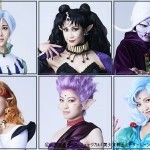 For 2900 yen, about $28 US, you can download and stream a musical. No specific pricing for the Amour Eternal musical is available at this time. In past years the Sailor Moon musicals had been streamed online on Niconico however they are not listed as an option this time. 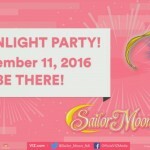 What does this mean for you, the every day fan who doesn’t live in Japan but wants desperately to watch the new Sailor Moon musical? Well you may be able to watch it for a price if you navigate some Japanese site and take the risk of being region blocked, though there are proxy services to get around this kind of thing. Alternatively it means it is it quite likely that someone will be able to record a version of this and that it will be subtitled. 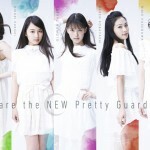 The hard working people at Miss Dream have made fan subbed versions of the last three musicals and, although they have not commented on this particular news, they have mentioned that they will sub the DVD or a streaming version if one becomes available. If any readers have had any success viewing anything on these sites outside of Japan I would appreciate if you could post a comment with the details. 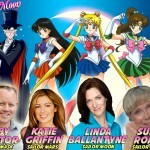 This entry was posted in Sailor Moon Musicals and tagged Amour Eternal by Adam. Bookmark the permalink. I can’t say for this particular one, but I do know that fans of idol groups and boy bands have figured out ways to use proxy servers and use DMM before. I don’t know how to myself though. Rakuten is another where it may be possible to do with DMM. It seems DMM is a better choice than rakuten showtime. It has download option (tho who knows how it’ll be for a new show) for a price.